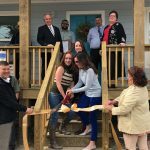 Corpus Christi (KIII News) — An Austwell family received an extra special Thanksgiving on Thursday when they got a new house just days before the holiday. 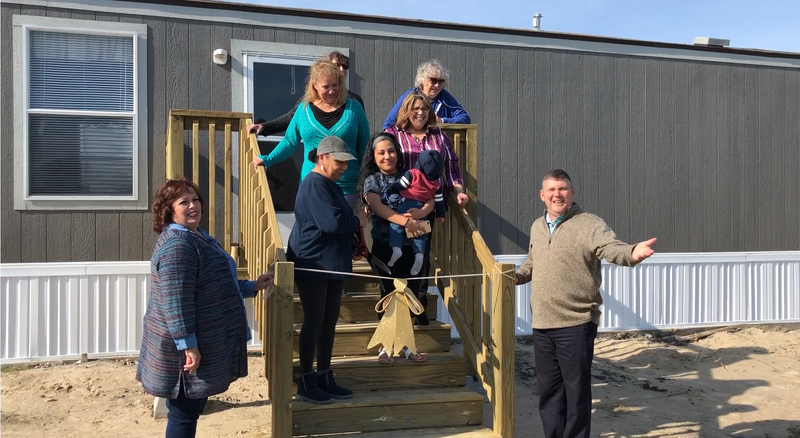 Following the ribbon cutting and a blessing for the new home, Austwell native Grace Hernandez, her daughter, and grandson, were presented keys to their new house provided by a local RV dealer, Oak Creek homes, and the Coastal Bend Disaster Recovery Group. “You know. I had nothing, and now I have something. You know what I mean? It’s just, it’s just overwhelming right now,” Grace Hernandez said. Hernandez explained that she lost everything but wasn’t expecting the new furniture that was provided along with a refrigerator full of food. “They stocked up my refrigerator. They got me a turkey. So that was very, very sweet,” Hernandez said. Hernandez has been staying with relatives in Victoria. “I thought it was going to take longer for me to have a home. So now I’m just overjoyed every time I turn into this street,” Hernandez said. According to Hernandez daughter Divinia, she was worried about her and her son Ivan. I was pregnant with him at the time. Also, it just really broke my heart knowing that I wasn’t going to bring him home from the hospital to my house,” Hernandez said. Christopher Brand with the Coastal Bend Disaster recovery group said getting Hernandez and her daughter into a home was a top priority. “To get them back into their home at this time of year with Thanksgiving and Christmas just around the corner is truly a blessing,” Brand said. 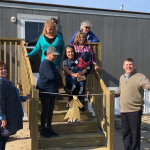 “I’m very very happy that we got this home right in time for the holidays for Thanksgiving especially since it’s going to be his first,” Divinia Hernandez said.